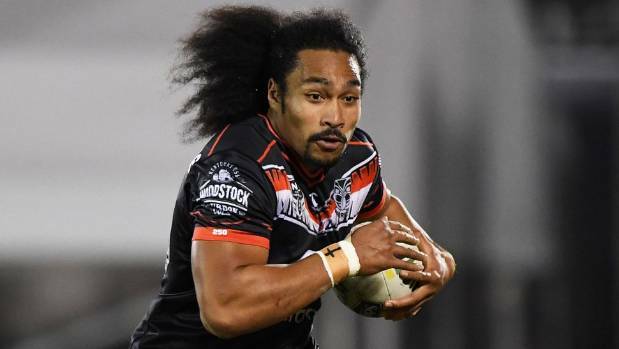 With a spot now open and a chance to make it his own, Bunty Afoa has today re-signed with the New Zealand Warriors. Afoa’s new deal will run until the end of the 2021 season, as Warriors coach Stephen Kearney praises the young forward. “What he gives us is real consistency in effort and performance which makes him one of the most impressive young forwards in the game. Afoa, who can play both as a front or back-rower, is just pleased to be playing as often as he is. Starting seven games in 2018, that number could increase as the club gave Afoa nothing but praise. “Bunty is another terrific young player who has come through our nursery,” Vodafone Warriors General Manager of Football Brian Smith said. “What he has done in such a short time in the NRL is inspirational, a fine example for all young kids in this country who have dreams of making it. “He’s a pleasure to have at our club in the way he conducts himself as a footballer and in the community.